*Many Veterinarians do not administer Bordetella; unless they are asked. Please remind your Vet when you book your vaccination appointment. *Pets that arrive for boarding without proper documentation or proof of vaccination will be turned away. ~ Please Call us with any questions. Most pet owners would be surprised by the wide variation in vaccination protocols among veterinarians. Although, nearly all follow the same general guidelines, they clearly develop their own “brushstrokes” based on their clinical experience. State regulations also influence what vaccines they administer and how often. With the exception noted below, we honor your veterinarian’s protocol. Because of these individual variations, we require vaccination documentation that clearly indicates the expiration date, not simply the administration date of any given vaccine. If you have an older pet, your veterinarian may also determine that he no longer requires one or another vaccine. In general, we will respect his or her judgment in this regard if you provide us with a written statement of suitability for boarding for our files. 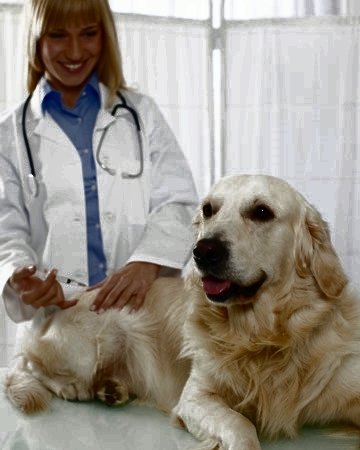 The one exception to the foregoing discussion, centers on the Canine Cough (Canine Tracheobronchitis) vaccine, which is sometimes referred to as “kennel cough”, despite the fact that this highly contagious ailment is as likely to be transmitted at a grooming shop, a dog park, a vet hospital, or even by the dog next door. The most common causes of Canine Cough are the bacterium, Bordetella bronchiseptica, or canine parainfluenza virus, or type 2 canine adenovirus. We absolutely require that your dog have an in-force Canine Cough vaccine. Which version of the vaccine the vet prefers, is fine with us. (Some prefer the injectable “Bordetella”, or lean toward the intranasal version Bordetella. Some alternate between the two). If this is your pet's first administration of the vaccine, we require that it be given two weeks before it's check in date (or it's overnight trial board). If you are boosting an in-force Bordetella, we still would like a 7-day window between when the vaccine is administered, and when you check in. This is because there can be an interval of a few days up to 7 days between an exposure and its symptoms. In addition, some pets immune systems get “lazy” following a vaccine. We know that some veterinarians think that our fourteen-day rule is unnecessarily conservative, and others don’t find cough vaccines as effective as they would like. Nevertheless, our experience is that the combination of in-force Bordetella vaccine, our regular sanitation procedures, our state of the art air purifiers, and our optimum fresh air practices has been effective in minimizing the risk of contagious coughs. Having said that, we must remind you that no vaccine is 100% effective, and we cannot guarantee that your pet will not pick something up while your pet is at the kennel. With respect to cats, there is no feline cough vaccine. We will respect your veterinarian’s vaccination protocol. We recommend, but do not require a feline leukemia vaccine, because your cat will never come in contact with another cat’s saliva. If you have a cat that goes outdoors, it should certainly get this one as it will likely encounter infected critters outside. Geriatric Pets: Geriatric pets and those with significant chronic medical problems, can be boarded, but the care team will need to be informed in advanced of all conditions and factors of your pets condition that can affect your pet's stay. When the Klassic Tails Inn care team agrees to take in a medically fragile pets, additional contracts and medical decision forms are required. It is recommended that a pet is fed the same diet it receives at home. Switching your pet's diet, may cause gastrointestinal problems and unnecessary stress for your pet. Kibble & Canned food from home is allowed, and at no additional charge. If you prefer to use the kennel provided brands that is free of charge, please note the latest brand name and protein source, such as chicken, lamb, or beef based diet, so we can match up as closely as possible, our brands of food to yours. It will minimize digestion problems and possibility of stool interruption. If providing your own pet's food ~ please bring it in a hard sided container, such as Tupperware, or the original bag with your pet's name, and feeding amounts clearly stated on the side. Please no zip lock plastic bags. We ask that if you are providing your own pet's food, you bring enough for their stay + two extra days. Just in case you are delayed in your return. Raw or homemade pet food that is frozen or refrigerated will be charged a daily prep of $2. per day. We enjoy the chance to show you around! It allows us the opportunity to share with you first hand how different we are compared other boarding facilities. KTI is busier late Friday through Monday morning, but you are more than welcome to drop in. We may need to break away to assist clients checking in or checking out, but I'm sure you can understand they have priority to get them off on their vacation; or reunite them with their pet. The best time to drop in, is Tuesday through Thursday morning when we are at our slowest, and will have the most time to show you around and answer question about your pet's individual care. There is no need to call to announce your visit. Please know that with the exception of medications, any special diets, and updated vaccination certificates, it is not necessary for you to bring items from home unless you choose to do so. We can provide your pet with bedding, toys and treats (should they desire) while they are with us. If however, you wish to bring some personal items, we cannot be responsible for any damage or loss to your pets belongings. Bedding: We can provide all of the necessary bedding for your pet. We have a variety of different styles of beds to accommodate the different needs of our guests. If you choose to bring bedding from home we ask that it be tidy and clean and clearly labeled with pets last name. Toys & Chewies: We have a wide variety of pet safe toys like Kong's, Tug's, and squeak toy's that we are happy to provide. All have been cleaned & sanitize for your pets safety. If you should bring toys from home, we ask that they are all marked with your pet's last name. Medication: Should your dog require medication during the day, it must be in the pharmacy container, labeled with your name, your pet’s name, the type of medication, and the dosage by the prescribing Veterinarian. Owner must write a letter, as to their pet's medications preferred dosing, should there be any deviation from the prescribed medication. Food & Treats: Food should be in a hard-sided container, or the original bag labeled with your pet’s name, your last name, meal portion ( US standard measure ~ like 1/2 cup), and frequency. Please no zip lock baggies. We provide kennel treats (lamb & rice biscuit's) for your dog during the day. Should your dog have allergies, you may bring your own treats from home. Meat bones as a general rule are not allowed. Clothing: For inclement weather, please feel free to bring sweaters. As always, feel free to contact us if you have any questions regarding your pet’s other boarding needs.